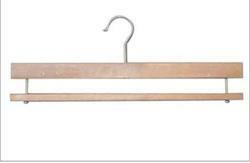 Prominent & Leading Manufacturer from Tiruppur, we offer wooden side clip hanger, wooden top hanger with pvc bar, wooden side clip hanger - 35 cm, wooden side clip hanger - 30 cm, wooden bottom trouser hanger - 35cm and wooden hanger - botten clip hanger. 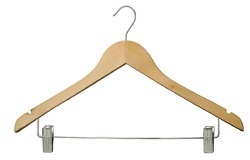 They are designed in compliance with industrial norms and guidelines and are renowned for their sturdiness and durability.They are available in multiple designs, shapes and sizes at budget-friendly prices. We offer them to clients within the specified time period. 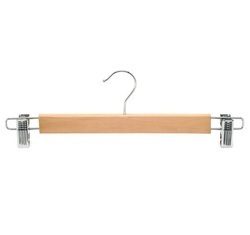 These hangers are also exported to our overseas clients through reliable shipment modes.